There is something magical and powerful about the collective divine feminine energy, it is the energy of our mother earth and has the power to create life. Working with the cycles of the moon and women coming together in ritual has been around for thousands of years. When we come together and create with intention under the moon it amplifies our intuition, our mystical practices and has a profound power to bring about magical change to our lives. Join me under this Blood Full Moon Lunar eclipse to tap into some powerful energies to let go and hit the reset button. This full blood moon which falls on Saturday 28th July is also a lunar eclipse which is infinitely more powerful. 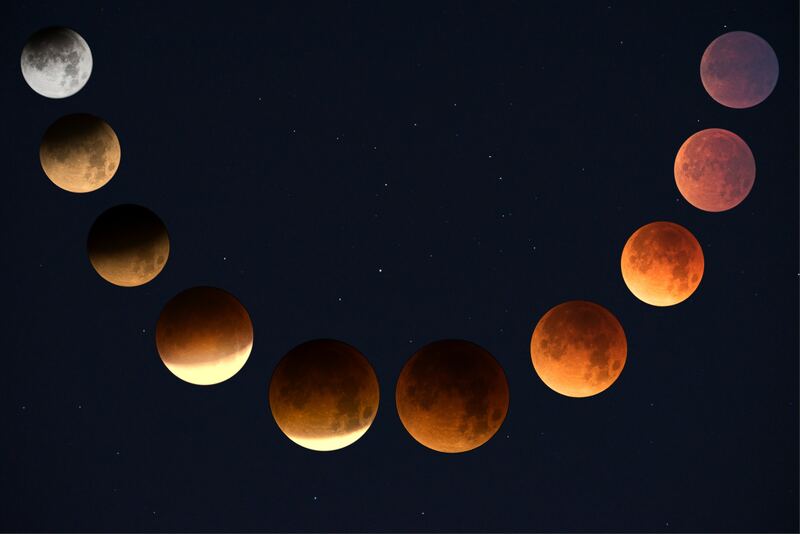 With a total lunar eclipse in particular, the covering of the Moon represents a resetting of your emotions, clearing away the emotional baggage of the previous six months. Total lunar eclipse conjuncts Mars which is going to test our patience and bring fiery emotions to the surface. We will look at how to stay grounded, calm and patient if we find ourselves in situations that push our buttons and trigger our wounds. Like a regular full moon only stronger, this lunar eclipse focuses our attention on emotions, intimate relationships, and your home and family. This is going to be the longest total lunar eclipse this century and is going to have an incredibly powerful influence on your private life. I invite you to bring something in mind that you would like to release under this powerful moon, it could be a habit, old emotional baggage, a person, a situation, an old flame etc…….together we will go through some powerful practices to let go and release so we may raise our vibrations and create energetic space for the new to flow to us effortlessly. Please bring a journal and pen and warm clothing, bolsters and blankets will be supplied. Lets get our modern mystic on together.